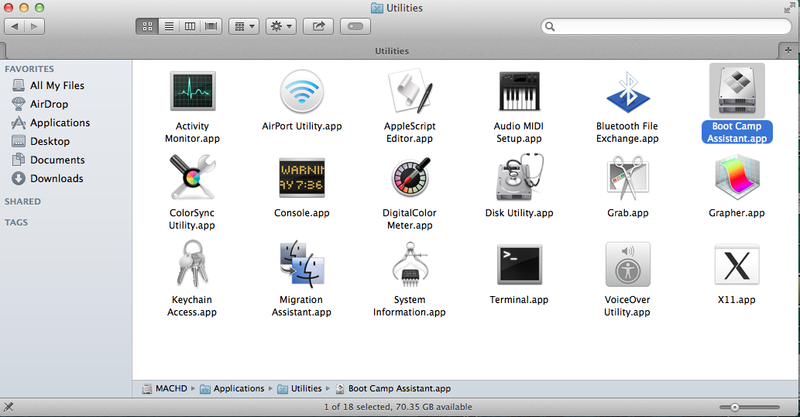 1 On your MAC go to your Applications > Utilities and double click on the Boot Camp Assistant. 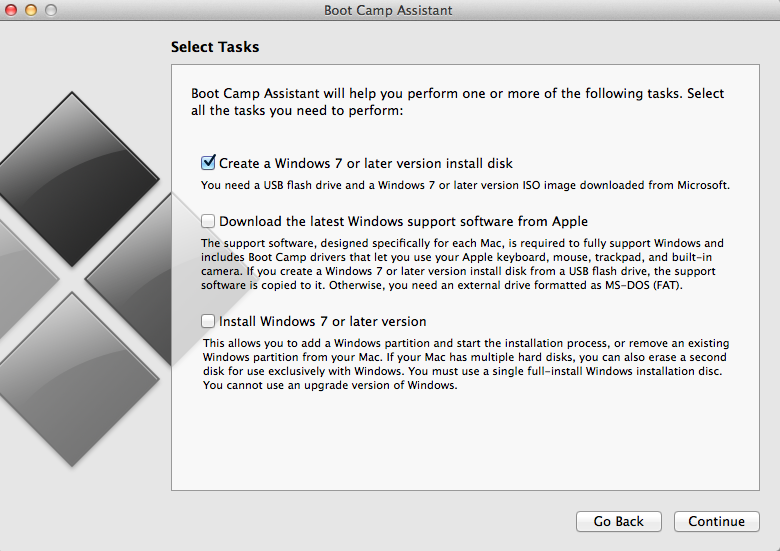 2 When Boot Camp Assistant loads, on the first screen click Continue and then select only the first option which says “Create a Windows 7 or later version install disk” and click Continue. If you do not see this option move to the next step, otherwise go to step 8. 3 Go to Applications > Utilities then right click on Boot Camp Assistant and select “Show Package Contents“. Then double click on the Contents folter. 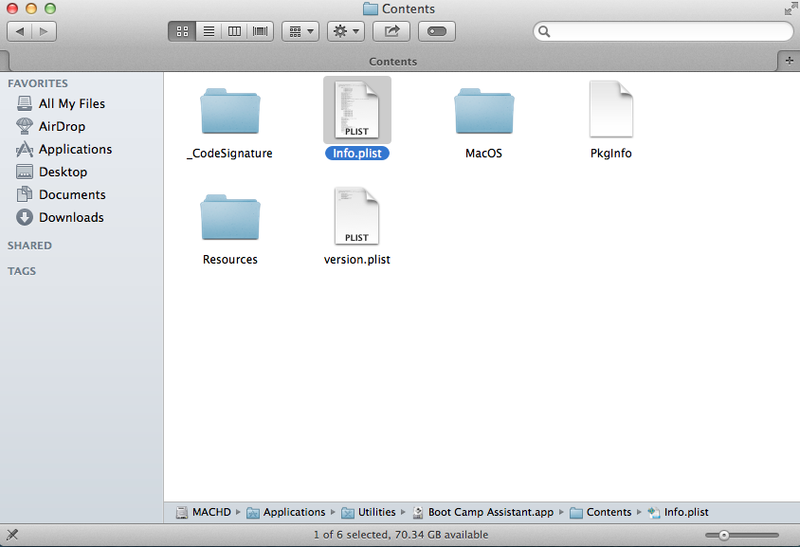 Locate the Info.plist file and make a copy of it in another location on your MAC. Do this in order to have a backup of this file in case something goes wrong after editing this file. 4 Open Info.plist with TextEdit or with another text editor application like TextWrangler and search for the word USBBootSupportedModels. If the you find the word PreUSBBootSupportedModels instead of USBBootSupportedModels, rename it to USBBootSupportedModels. Underneath USBBootSupportedModels you will see the declared versions of MAC computers (i.e. MacbookPro7,2 , iMac12,2 etc) that support Creating bootable USB drives. The word (i.e. MacbookPro) indicates the Model of the computer and the number (i.e. 7,2) the version. If you see your computer’s model in this list, it means that your computer version is older than the declared number. 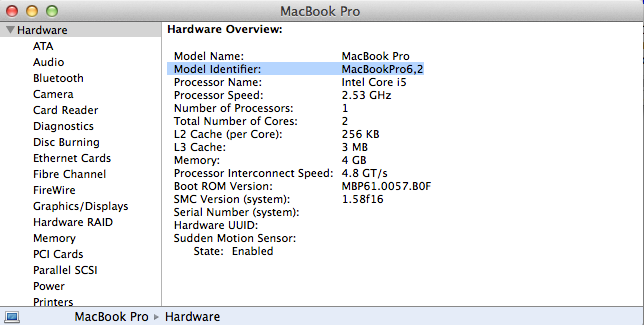 5 Find your computer’s Model Identifier by clicking on APPLE then on About This Mac then on More info… and finally on System Report…. On the window that appears you will see your computer’s Model Identifier. 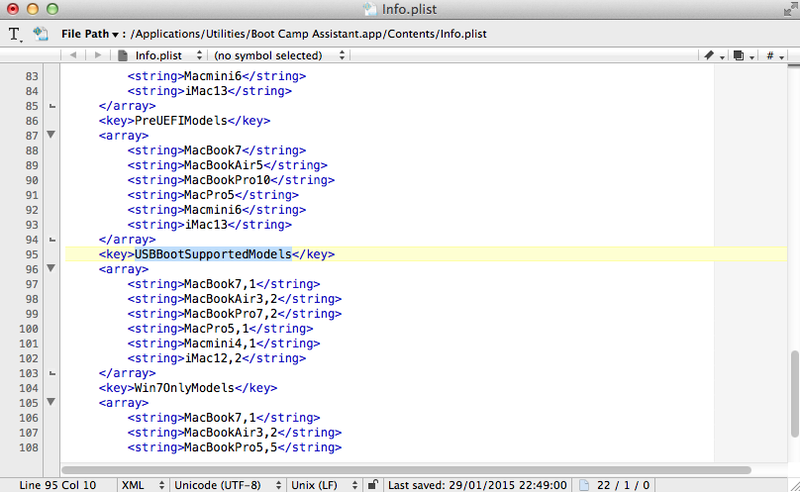 6 Then Copy the Model Identifier and paste it in the Info.plist file under the PreUSBBootSupportedModels key. Make sure that your computer model is written on the list only once (i.e. If your Model exists replace it with the correct number and do not make a duplicate with two different model numbers). Finally Save the Info.plist file (You may requested to login in order to save the file). 7 This step is for OS X 10.9 users, as it creates some kind of signature that prevents you from changing the info.plist and cause bootcamp to crash. To prevent this from happening, go to Applications > Utilities and double click Terminal. 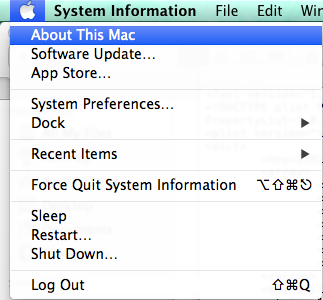 Then write the following command into Terminal (it will ask you to enter your mac password to proceed). This command resigns the Boot Camp Assistant so that it runs with the new Info.plist. 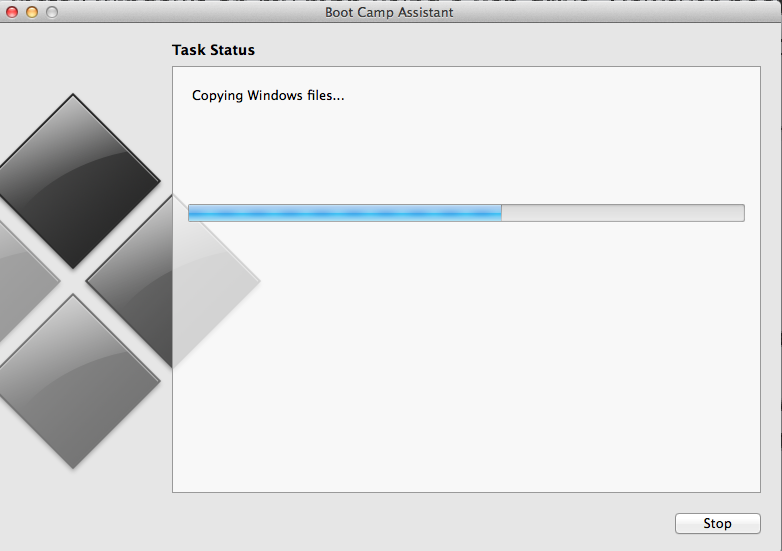 8 On the Boot Camp Assistant with the “Create a Windows 7 or later version install disk” selected, click Continue. It will ask you to plug in your USB memory stick if it is not already plugged in. Then locate the .iso file on your mac and click Continue (Note: All Data will be lost from your Memory stick). 9 Finally wait for the process to finish and you are DONE. Well disabling SIP in newer versions of OS, eg: 10.13 High Sierra can be painful, and there’s no need for it. You may need to alter permissions to the file as well, then copy Info.plist to Desktop alter it there and after saving it replace it. Created bootable USB like You mentioned, however Mac does not see it to boot (Holding Alt during boot). reFInd see it however unable to boot it as well. 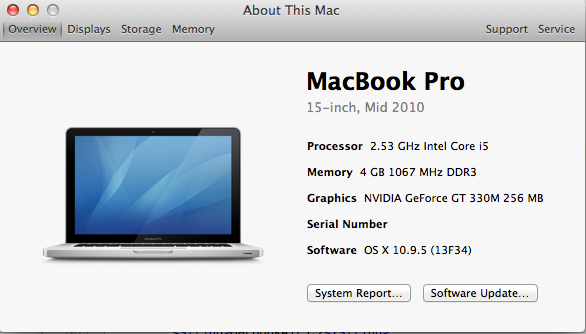 I see that You also use Mid 2010 MacBook which has problems booting from flash with not GPT partition. How You turned this on to success?! Any way to solve or I did something wrong? Have Mac OS Sierra. I have the exact same combination, and the USB-stick does not appear to be bootable on the Mid 2010 MacBook. Did you find a solution? This worked great in getting Boot Camp Assistant to create my USB, but upon reboot-with-option, when I choose the “EFI” disk to boot from, my Early 2008 MacBook Pro freezes and goes no further. The mouse does not move, nothing happens. Any suggestions? Hello. Thank you for the guide! After completing all the steps i have the following strange thing. The system doesn’t recognise the usb as bootable and i dont see it at the boot options. I have tried in 2 different usb drives. Any ideas? Same thing here. Is there a solution to having the system recognize the USB as bootable after completing the above steps? I had a bunch of permissions problems trying to alter the plist, but they were easily fixed by copying Boot Camp Assistant to the desktop, altering the one on the desktop, re-signing it with the Terminal command mentioned above, then running it from the desktop. Thanks for the article and tip! I’ve got Win7 installing smoothly to a flash drive right now! I was trying to create this on OS X Sierra and ran in to these permission problems as well. Thank you for the tip! Works like a charm now. On El Capitan, even with a correctly edited info.plist, the option “Create a Windows 7 or later version install disk” does not exist. i have el captain and i can edit the info plist but i don’t get how to save it as an iso image. i open boot camp and try selecting it. it doesn’t work that way. Easy fix for the command line that doesn’t change the signature. Just copy the content folder from the boot camp on the Desktop. (You need to open the folder from finder). 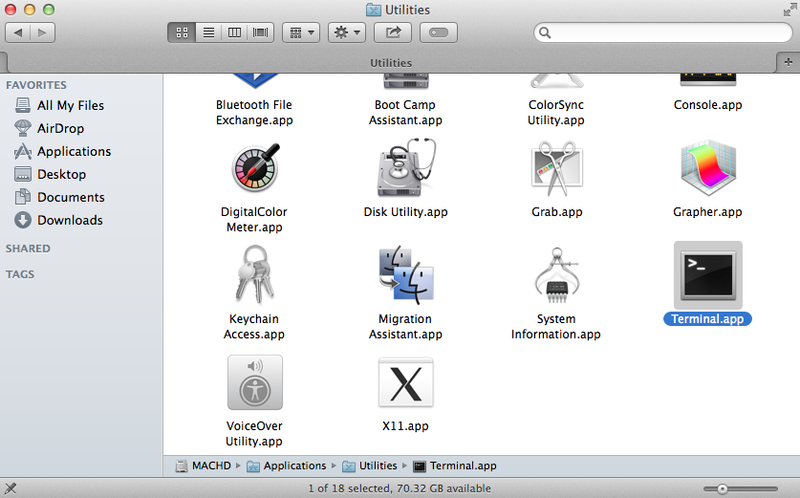 Open the folder MacOS then click on Boot Camp Assistant (Black icon) and follow the steps from 8. I followed all the steps but after executing the command in Terminal, Boot Camp Assistant simply doesn’t open. Please help. Hi, thanks for the gide. I am able to create the USB stick. The I plug it in to a PC and it does not boot up. It get stacked with the cursor blincking, usb stick light blinking, ans nothing happens. 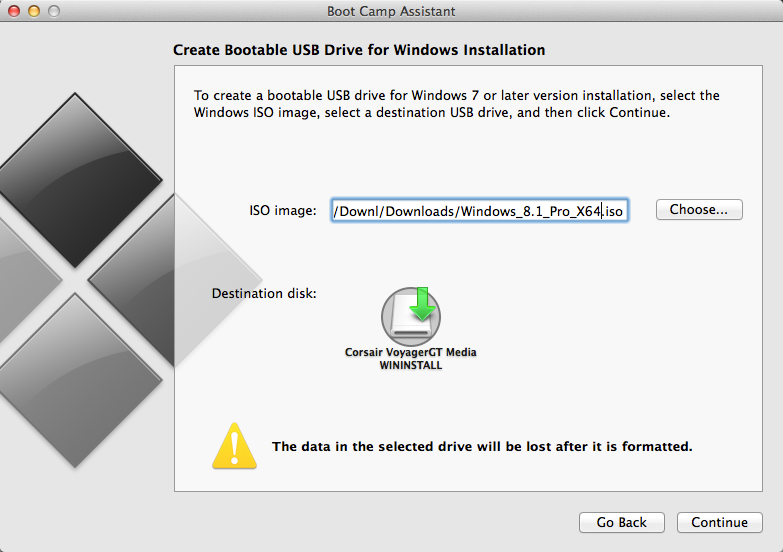 I got here looking for the way to create a bootable windows installer USB for PC from osx. Should it work? If not. Do you know about a different guide? MacOS X 10.11.2 (aka El Capitan) don’t let us to edit Info.plist at all. I tried to edit it with “sudo nano”, duplicate the file on my desktop and try to replace with Finder, or edit the file directly with Sublime Text. You have to duplicate Boot Camp Assistant Application in your desktop (or anywhere else) to be able to edit it. If anyone else is having this issue, restart your computer in recovery mode by holding down COMMAND + R as it’s booting. In the menu bar, click on Utilities, then open the Terminal. Then restart your computer normally, and edit the plist. Then you can follow through with the rest of this solution. I found a very very easy fix for this using El Capitan. Just copy Bootcamp to your desktop. 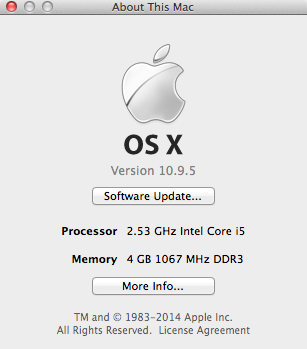 OSX lets you edit the info.plist. Then just run the copy from your desktop! Easier solution is to select Get Info from the context menu for the info.plist, unlock using the little lock icon at bottom-right, then add your username to permissions list and select Read & Write permissions. OSX will now let you edit the plist file. Does this put windows on my mac OR does it only let me use a mac to create a windows bootable usb (i.e. : does not affect my mac software)? I have a PC that needs Windows. I have an ISO file and a macbook. Can I use the instructions above to use my mac to create a bootable USB which I’ll put in my corrupt PC? I DO NOT want Windows on my mac. It is exactly what you are looking for. 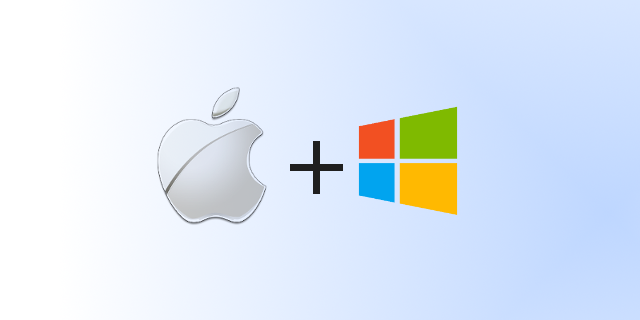 Following the instructions you will be able to create a Windows bootable USB drive from a MAC which can be used in any pc. I do not see Step 2: “Create a Windows 7 or later version install disk” on my MacBook running OS X El Capitan. How do I enable this? Copyright © 2019 Michael Anastasiou. | All Rights Reserved.